One of the coolest demos in Google's event yesterday came during the Nest section when the presenter used an Assistant command to beam a camera feed to the big screen. A lot of the things Googled showed off aren't available yet, but this one is. You might need to do a little setup, though. The Nest-Assistant integration is live, but not all Nest accounts will work right away. If you have a Nest Thermostat on your account, you'll most likely need to unlink and re-link your Nest account in Assistant. Once you do that, your cameras should show up in the Home Control section to be assigned rooms. 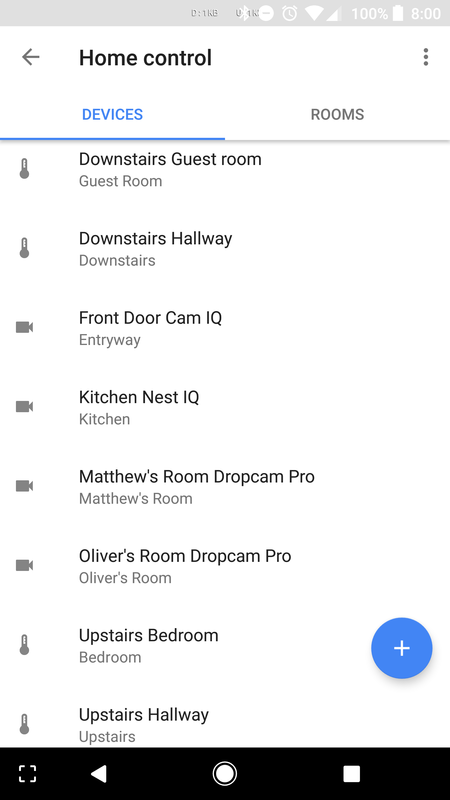 The rooms are what matter to Assistant, not your Nest camera names. When you're set up, all you have to do is say "show [camera location] on [cast device]" and Assistant does the rest. The Chromecast will produce a cast notification on your phone, so it's easy to stop the stream. I should note, however, streaming is not working for me with Android TV devices. Assistant says it's going to stream, but it does not.